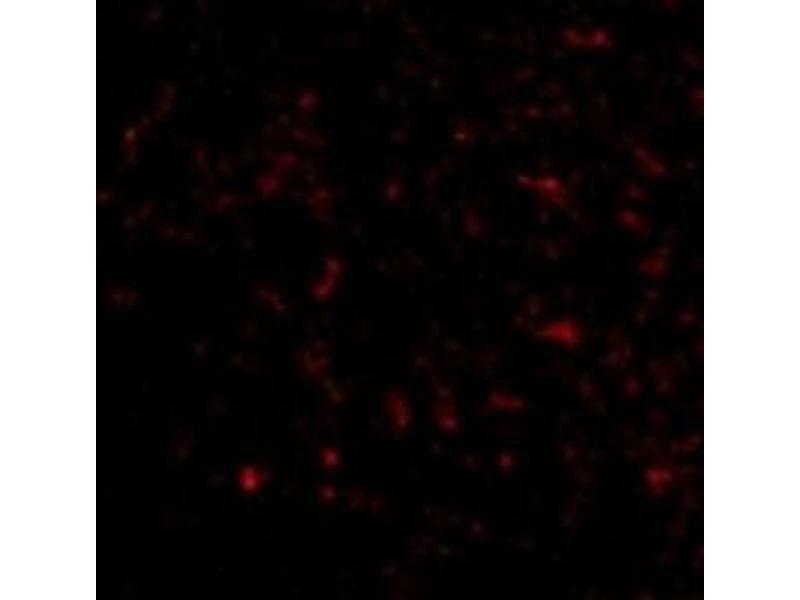 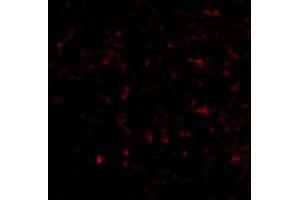 Immunocytochemistry/Immunofluorescence: KA2/GRIK5/Glutamate Receptor KA2 Antibody [NBP1-76853] - Human Brain cells. 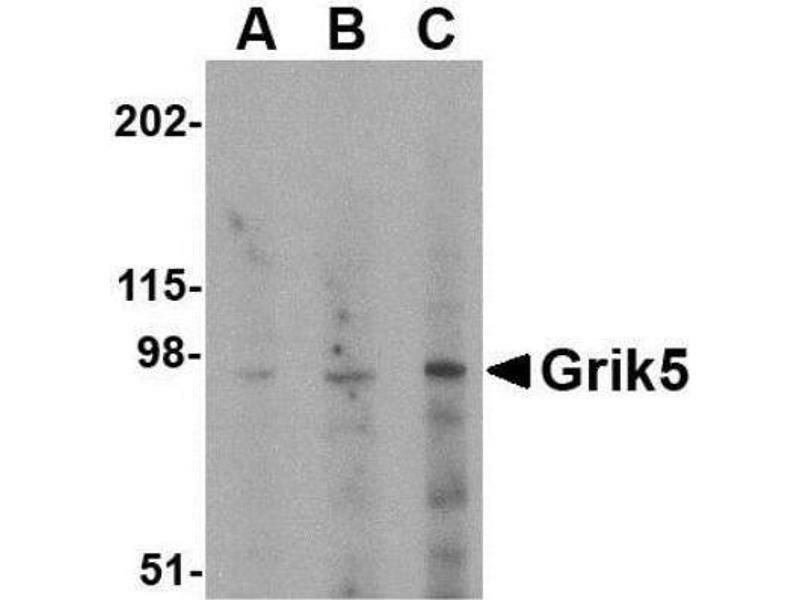 Western Blot: KA2/GRIK5/Glutamate Receptor KA2 Antibody [NBP1-76853] - Human brain tissue lysate with Grik5 antibody at (A) 0.5, (B) 1 and (C) 2 ug/mL. 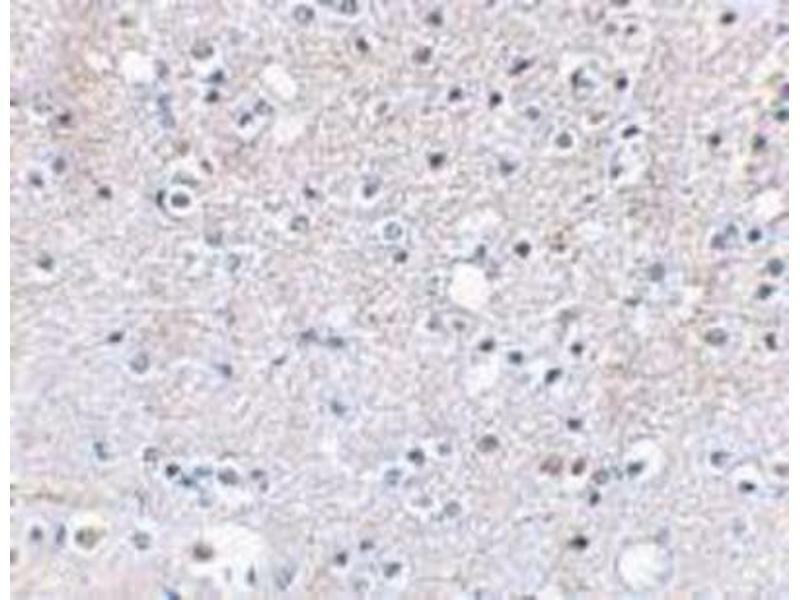 Immunohistochemistry-Paraffin: KA2/GRIK5/Glutamate Receptor KA2 Antibody [NBP1-76853] - Human brain tissue using Glutamate receptor KA2 antibody at 2.5 ug/mL. 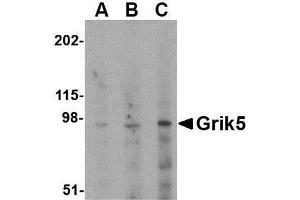 Specificité This Grik5 antibody does not cross-react with Grik4. 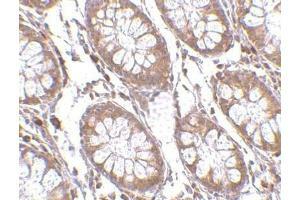 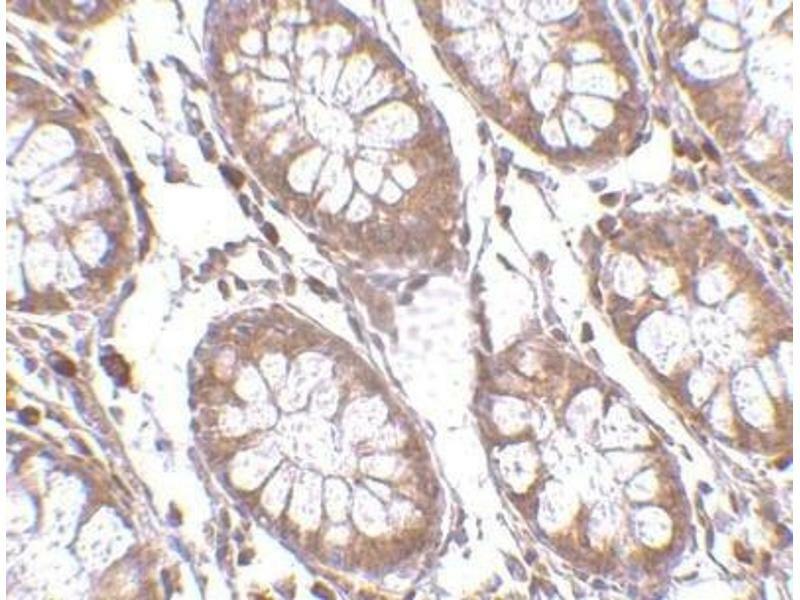 Immunogène Antibody was raised against a 17 amino acid synthetic peptide near the carboxy terminus of the human Grik5. 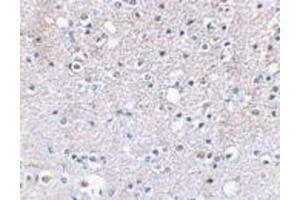 The immunogen is located within the last 50 amino acids of Grik5.